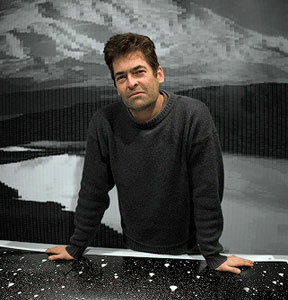 The American photographer Chris Jordan is most famous for his large format prints that depict arresting views of Western culture – like the image of a wave created from millions of items of dis-guarded plastic found floating in the sea, or the recreation of Van Gough’s ‘Skull with cigarette’ using thousands of packets of cigarettes. 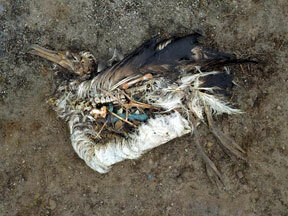 His latest subject is albatross chicks on Midway Island. The work is still about scale, but focusses more on the outcome. And it’s all the more powerful for that. A few weeks ago Chris went to Midway Atoll, which a tiny stretch of sand and coral near the middle of the North Pacific. 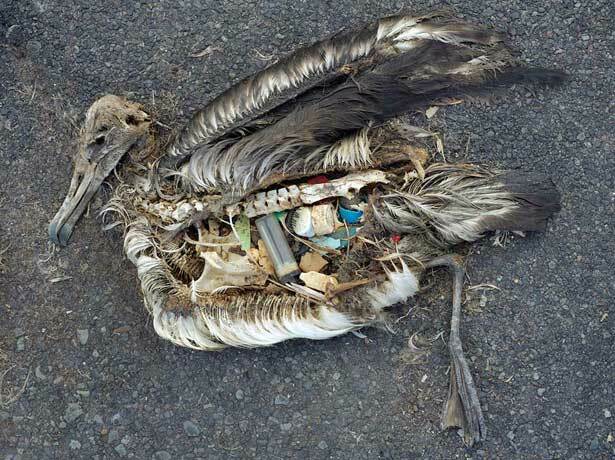 He found dead and decaying Albatross chicks with stomachs full of plastic: disposable lighters, bottle tops, and anything else that floats. 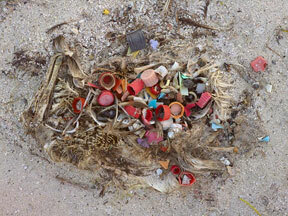 While out hunting the chick’s parents confuse floating plastic for food, and feed it to their nesting babies. 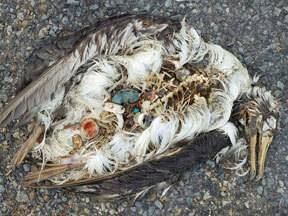 Every year tens of thousands of albatross chicks die this way. This is the best ad for recycling I’ve (n)ever seen. Oliver Payne is author of the behavioural communication book Inspiring Sustainable Behaviour: 19 Ways To Ask For Change published by Routledge, available in most countries. and the London Meetup group for notifications, too.